Visit Report Cards give your client a quick update of how their visit went. Did Fido use the bathroom? Did they go for a walk? Did they eat dinner? You can create Visit Report Cards for each type of service and staff members can answer custom questions for each event. The answers to those questions as well as the fun icon you’ve selected is sent to your client in addition to any notes or pictures included! Each question you create can either be a yes/no question, a count question or a multiple choice question. 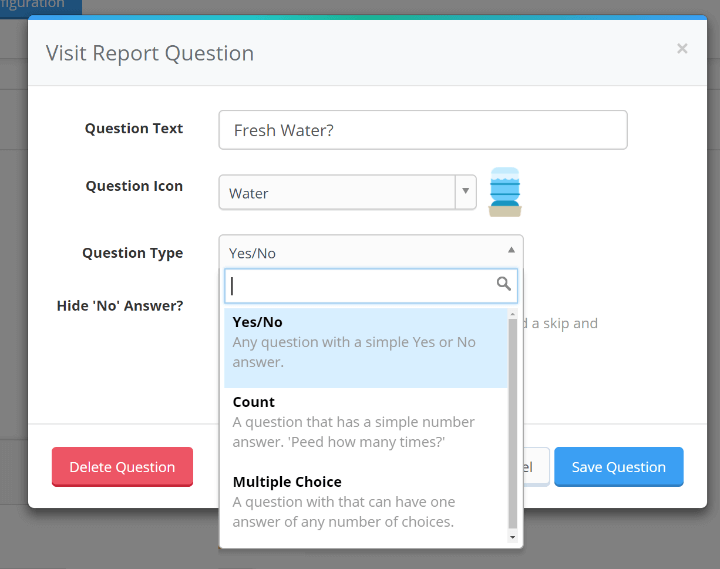 Count questions allow your staff member to specify how many times something happened during the visit and multiple choice lets you create the answers your staff can choose! Each question includes a matching icon. Have a question about the pet drinking water? You can include an water fountain icon. Or is the question about the pet using the bathroom? Use the Poo icon! 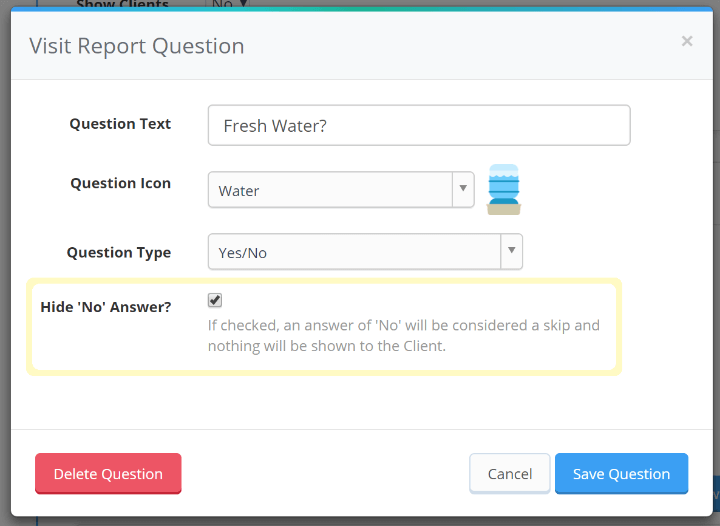 Icons are included with the answers to each question. Not every question is applicable for each visit. That’s why Time To Pet allows you to specify some questions as hidden if the answer is no. Don’t want to answer the question about taking a dog for a walk in a rainstorm? Simply allow that question to be hidden!